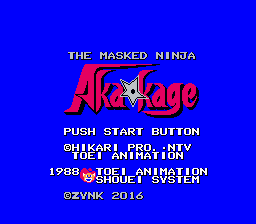 Kamen no Ninja: Akakage is an action platformer game for the Nintendo Entertainment System. 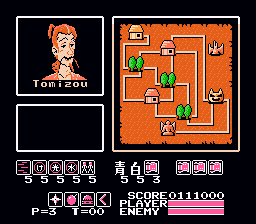 The game is based on a live action television show in Japan. It also has an animated film adaptation. 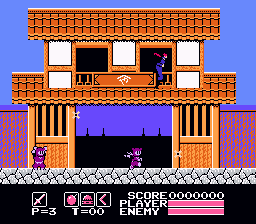 The game features standard platforming where the player need to collect pieces of a map to find the last stage. 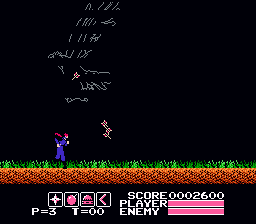 This is an English translation of “Kamen no Ninja: Akakage” for the NES. 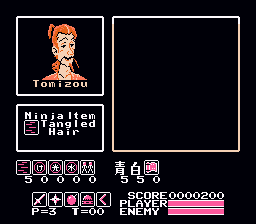 The game is based on a live-actoin tv show/anime of the same title.